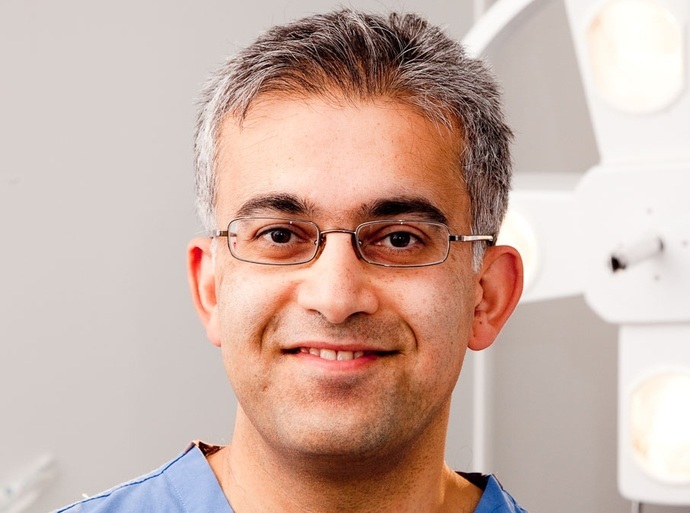 Dr Varma is a trained Consultant Dermatologist and Dermatological Surgeon at Circle Nottingham. He trained in Mohs micrographic surgery and Lasers in Portland, Oregon, USA, 2000-1. Dr Varma teaches on skin cancer, Mohs surgery and Acne and is an Honorary (Consultant) Assistant Professor, University of Nottingham, School of Medicine. His expertise is in the early detection of skin cancer and he specialises in surgical and non-surgical treatments for skin cancer. Dr Varma sees and treats both NHS and private patients at the Nottingham NHS Treatment Centre. Dr Varma enjoys Cricket and screens the Nottinghamshire Country Cricket Club Players each year for skin cancer. Treatment of skin cancer with Mohs Micrographic Surgery. Treatment of skin cancer with non-surgical methods such as photodynamic therapy (PDT). Raman spectroscopy for the early detection of skin cancer.